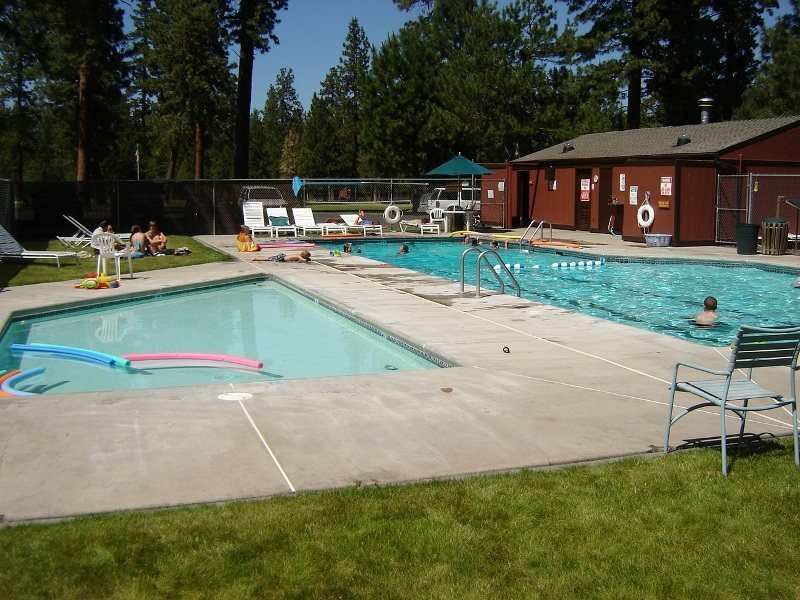 A family friendly housing community 2 miles out of Sisters towards Black Butte on Hwy. 20. Free access to seasonal swimming pool (pictured), tennis and basketball courts. Volleyball net set up in the grassy commons area by the pool too. Great paved walking/biking trails throughout. Close to National Forest for more recreational opportunities. Seasonal swimming pool, tennis court, basketball court, paved walking/biking paths. Swimming Season begins the end of May through the middle of September, weather permitting. Tollgate Pool Hours Lap swim: 10:00 a.m. - 12:00 p.m. Open swim: 12:00 p.m. - 7:00 p.m. Lap swim: 7:00 p.m. - 8:00 p.m.
From Sisters, go 2 miles north out of Sisters on Hwy 20 and turn left on Tollgate Rd.